If you are an off road motorcycle racer, or a fan who lives anywhere close to Ontario, the place to be on July 24th will be the first Full Throttle XSprint race at the Welland County Motorcycle Club. So what is a Full Throttle XSprint? The XSprint Full Throttle is a bar-to-bar version of the standard XSprint. Full Throttle uses the same tests as a standard XSprint however the tests are much shorter and the entire lap is timed rather than each individual test. All competitors ride multiple laps in a moto and multiple motos at each FT race. The total time of all laps is used to determine placement. Riders simply go from the pit area to the start area and line up by class. There may be several classes in a moto, however racers only race against their class as there will be staggered starts (ie if Pro and Vet Pro race the same moto Pro starts first and after a set time interval Vet Pro class will start). Depending on the number of entrants, racers will have between 30-60mins between motos. The number of laps will be depending on the course length. Typically there will be between 3-5 laps per moto with 15-20mins for the full moto. There will be 4-5 motos each event. Course: Every XSprint course is made up of three special tests (Extreme, Enduro and Cross). Extreme Test: Is designed to test the technical and physical dexterity of the riders and will be carried out on areas with sufficiently wide technical obstacles in order not to create a traffic jam. Terrain may be either man made, natural or a combination of both. Enduro Test: typically a “woods” setting with single/double track and may also include open terrain such as rolling hills, grass land etc. Cross Test: MX type terrain that may be natural or manmade (ie MX track). Transponder: Every XSprint event is electronically scored and thus requires each racer to have a transponder. These transponders can be purchased at the event for $40 or rented for $20(with $40 deposit). NOTE: FOR THE WELLAND EVENT ONLY THERE WILL BE NO RENTAL CHARGE FOR THE TRANSPONDER. Entry Fees: Each event organizer sets the entry fee but the cost will typically be $45. So if you do not have a WEC/CMRC license it will cost you $75 to race for the day. If you do have a license then it only costs $45 to race. That is the best bang for your buck in Ontario off road racing. Chironex Motorsports Inc (an Ottawa-based corporation that develops and distributes motorsports, recreational and utility vehicles) is the exclusive Canadian distributor of the Sachs MadAss 125 motorcycle through a joint venture with German brand Sachs Bikes International. MSRP for one of these German engineered bad boys is typically $3,649 but Chronex is offering a GroupOn (discounted group purchase website) for the next four days at 40% MRSP - just $2,189. Quantities are limited so you'd better read the fine print and you'd better act fast! As of this writing the deal had just gone live and there were no purchases yet. We had spoken to the guys at Chironex a few weeks back and nobody mentioned this deal when we did which is a little surprising. It's a cool looking bike but at full price of $3,649 is a little spendy perhaps. But at $2,189 - if you were on the fence - now is the time to buy! 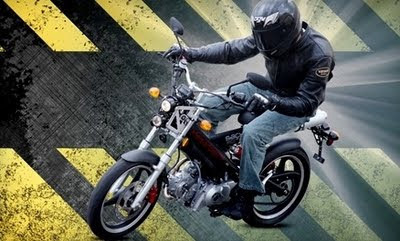 Consider that the 2012 Yamaha BWs 50cc machine is $3,079. And that's a 50cc scooter. The BWs 125 has a MSRP of $4,299. 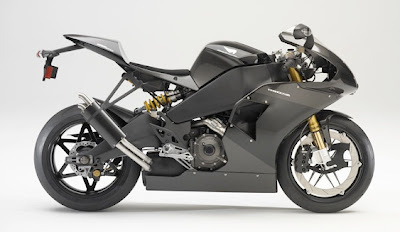 The motorcycle's design pays homage to Sachs' more than 125-year heritage, sporting a naked look that does away with fairings and plastic parts in favor of durable, school-bus-jumping construction, weighing in at a stout 220 pounds. Specs start with 125cc four-stroke motor with electric start that can reach 90 km/h, coupled with a four-speed foot-shifting manual transmission. The frame holds a five-litre integral tank, enough fuel to set up to 100 kilometres worth of road ablaze before turning around and cooling it off with 16" wheels coated in traction-enhancing asphalt aloe. Further details include clip-on handlebars, fast-response hydraulic braking, and a slim design that allows the MadAss to park on bicycle racks, all backed by a parts-only limited two-year warranty. Choose from four colours—charcoal, gunmetal, madder red, or magnolia white—when ordering, and learn about add-ons such as an enduro kit to quickly convert the MadAss into a trail-ready ride. Shipping ($150) is included. While pre-delivery inspection is not included in this deal, customers have the option of completing their own set up or Chironex will complete tasks such as bolt tightening, weather adjustments, and fluid top-offs for an added charge ($80–$100). Came across this video of a guy hand painting a Royal Enfield tank and it's pretty amazing to watch this guy. There's people talking around him, touching the tank at points even. No special equipment - just a brush, some paint, and a wooden table top. Truly impressive demonstration of craftsmanship and precision! World Enduro Canada is very pleased to announce that Inside Motorcycles and Inside MotoX and Off Road magazines are continuing their support of the Royal Distributing Canadian Enduro Championship. Having quality media partners is critical to the success of the series. In past seasons both magazines have put together great articles and news items to keep the events and the racers in the public eye. In addition to excellent race coverage they also produce the Canadian Enduro Championship official series program. This year the event program for the western rounds will be an insert into the July/August issue of Inside MotoX & Off Road. Released just before the opening round in Kamloops, BC the program is an important media tool that provides the series with valuable exposure while keeping the public up to date on what is happening this season. Inside MotoX and Off Road will once again be the presenting sponsor of the Western and Eastern Amateur Champions. Each champion will be awarded a great prize pack along with their number one plates. The Western Champions will be crowned in Blairmore, AB and the Eastern Champions at Motopark in Chatsworth, ON. Well, the big changes anticipated for Suzuki's new V-Strom turned out to be not so big after all. Rather than a complete remake with a bump up in engine size the bike got a styling facelift and a few small but practcal revisions. With a claimed curb weight of 472 pounds, the new 2012 V-Strom 650 has shed a little more than 13 lbs from the previsous version. Additional changes also include a higher seat at 32.9 inches (versus 32.3 inches) and the fuel tank is reduced in size by a couple litres (down to 20 l). The new sleeker looking fairing covers a new instrument panel that includes a lots of useful information - even a road-freeze warning indicator. The windscreen is three-way height adjustableas well. So nothing too earth shattering but hopefully the price of the new model will stick close to what the previous version was. Incremental improvement (except for range with that smaller tank!) rather than a reinvention. It might be enough to get a few more people to take a closer look at the Strom and the ones who were already considering it might appreciate the revised looks, features, and slightly reduced weight. Ken Seymour, Manager of the Sussex Safer Roads Partnership, said: “We at the Sussex Safer Roads Partnership are committed to reducing all types of collision on our road network and are raising the profile of motorcyclists as our data infers this is the time to start to remind riders of their responsibilities. ’Stay a Hero’ isn’t your usual shocking public service film. Instead we hope that it will connect with the motorcycle community and generate discussion that helps to protect people on our roads. 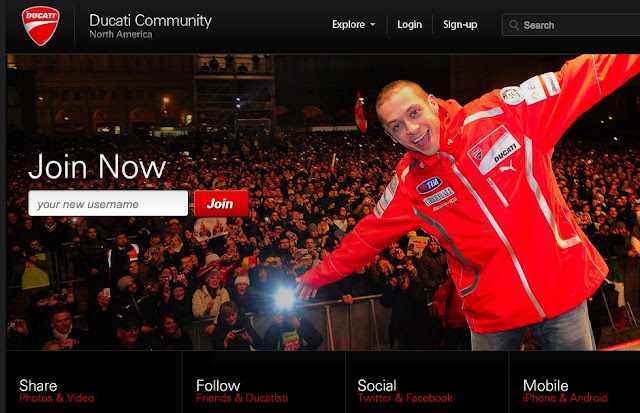 Ducati North America has launched iPhone and Android apps for the DucatiCommunity.com social networking site; enabling users to post their Ducati experiences via text, photo and video in real time on the www.ducaticommunity.com site. The two mobile apps for the DucatiCommunity.com site are available now for free download. These new apps enable Ducati Community members to post directly to the site from their garage, a MotoGP race, or a Sunday morning ride using their iPhone and Android enabled devices. Deeley Harley-Davidson Canada-sponsored Donald Taylor scored a hard fought third place in the Open Expert Class Final to keep the points lead he established with his win in the opening round last week. Taylor was in a tight pack with Doug Lawrence and Chris Evans and the three contenders separated from the rest of the fifteen-rider field. “It was a weird main event”, the six-time champion commented. “The track was well-prepped, but it was a bit slippery and you really had to ride smart and hard. I ran second and was trying to find a way past Doug and I was really pushing him. I left rubber marks on his leathers and his bike and then Evans did the same to me.” Evans pushed Taylor off the groove and into third place where he would remain until race completion. Doug Lawrence, on the American Harley-Davidson/Kurt Biegger entry, won his first race of the year with Chris Evans on the George Evans Racing bike in second, and Deeley Harley-Davidson® Canada’s speedster, Donald Taylor, in third on an XR750 motorcycle prepared by Jim Sehl. Round three of the Canadian Motorcycle Association 2011 Dirt Track National Championships runs Saturday evening, June 25 at the Niagara Raceway in Welland. Canada's Best Selling Scooter - gets some upgrades. 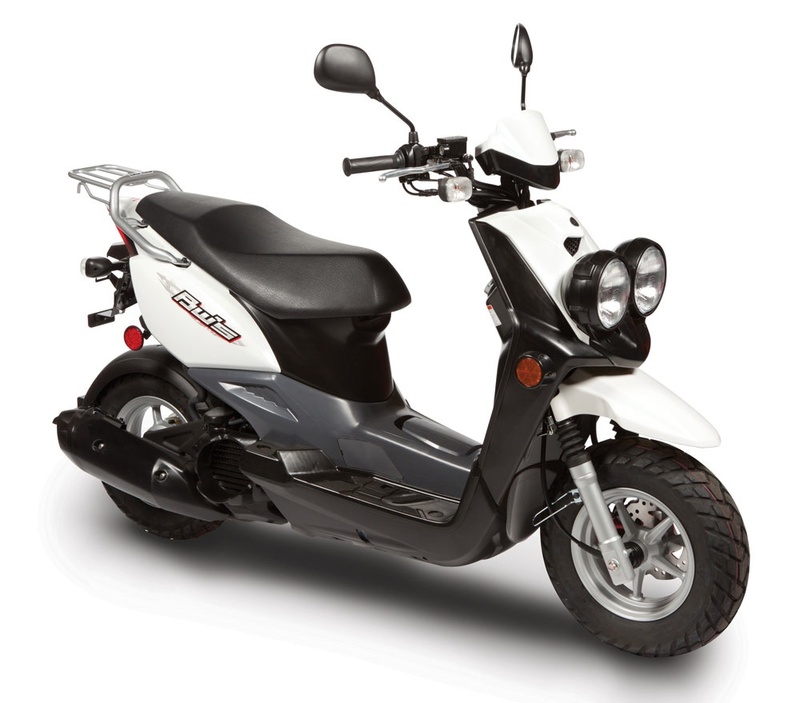 Yamaha's BWs 50 has been the best selling scooter in Canada for at least the last 10 years. Making big changes to something so popular with such as impressive sales history is risky. 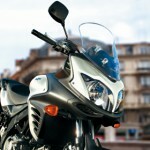 But Yamaha have taken the chance and made some big changes for the all-new 2012 BWs50. Toronto, Ontario, Canada, June 15, 2011 – All around the world, governments have joined in to promote this as the Decade of Action for Road Safety- 2011-2020 whose aim is to encourage better safety behaviour among road users aiming to reduce road deaths and injuries across the world. “Every six seconds someone is killed or injured on the world’s roads. 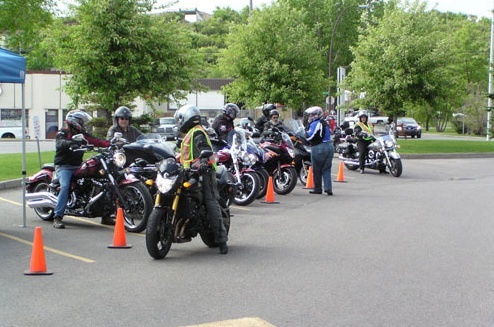 Motorcyclists are especially vulnerable, so we must encourage a better understanding of the risks, promote safety programs, and advanced rider training for all riders. We also need to increase the respect for each other on our shared roads – no matter the vehicle. There are too many unnecessary accidents, which in most cases, could be avoided. Responsibility lies with the motorcyclist to improve their skills. It’s up to them to better understand how they can react to incident and equally how their bike reacts when operated in an emergency situation such as braking or swerving”, says Vicki Gray, founder of the International Female Ride Day and of MOTORESS who also teaches motorcycle skill operation enhancement and special tactics for women riders. 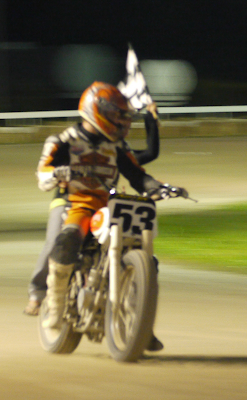 Deeley Harley-Davidson Canada-sponsored flat track racer, Donald Taylor, made a successful return to Canadian dirt track racing in the Expert Open Division of the Canadian Motorcycle Association-hosted first round of the Dirt Track National Championships. Taking first place in a hard-fought 15-lap final gives Taylor an early points lead in his quest for his seventh CMA number one plate. Taylor did not have to wait long, as on lap eight, race leader, Jon Cornwell, crashed on the back straight and took out Doug Beattie and Chris Evans in the process. “I was so lucky to not have been caught in that mess, I was dodging riders and bikes and pieces, weaving through them”, the much relieved Taylor related. On the restart, Taylor took control. He was first into turn one and was never seriously threatened for the remaining laps, as he cruised to the first of what he hopes will be many wins in Canada this year; enough wins to take back “his” number one plate. Taylor sees action again this weekend on June 18 at the Niagara Raceway in round two of the 2011 CMA Dirt Track Championships. For further information on dirt track racing events and results, please refer to Deeley Harley-Davidson Canada-sponsored flat track racer, Donald Taylor, made a successful return to Canadian dirt track racing in the Expert Open Division of the Canadian Motorcycle Association-hosted first round of the Dirt Track National Championships. Taking first place in a hard-fought 15-lap final gives Taylor an early points lead in his quest for his seventh CMA number one plate. For further information on dirt track racing events and results, please refer to www.canmocycle.ca. Swedish manufacturer Husqvarna (now owned by BMW) has been hyping new bike they've got in the works. It's a street bike no less! A "super" motoard styled bike featuring the BMW F800 series parallel twin that's bumped up to 900cc's to give it a little more wow factor for the road. As a bonus - Husqvarna took some photo's and pushed them out to print media and the Internet with a "Spy Shot" apperance. Not sure who's marketing idea that was but we're happy to see the photo's anyway we can get them. The bike looks like it'll have no more fairing and extra weighty bits than it needs. Should bode well for the power to weight ratio. The bike will reportedly debut at the EICMA show in November. It's even rumored that Husqvarna will produce a few variants of the bike just like Triumph did with their 800 and Tiger 800 XC. One would be a road biased bike while the other would be off-road worthy. According to information released on Erik Buell Racing's snazzy new website, you'll have to pay $39,999 US to pick up one of just 100 EBR 1190RS bikes they intend to produce. Add another 4 grand if you want the carbon edition. The bike pumps out 175 hp @ 9750 rpm and peak torque is 97 ft-lbs @ 9400 rpm. Wet weight, but without fuel, is just 389 lbs (176 kg). Those are some pretty good numbers. It's also exciting to see that there's plans for future models strictly names the RX, SX, and AX at the moment. Hopefully people with hefty bank accounts will snap these up and help finance future growth for Buell. Canadian motorcycle accessories distributor Motovan has a new 2011 Cruiser Catalog that's jam packed with 514 pages of stuff for your cruiser. Actually, there's a lot of items for all sorts of motorcycles; helmets, windscreens, bags, etc. 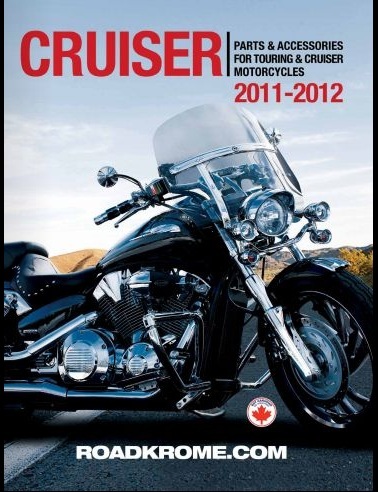 You can check out the new Cruiser catalog on Motovan's website HERE. Established in 1980, Motovan imports, exports, distributes and manufactures replacement parts and accessories for motorized recreational vehicles (Motorcycles/MX, ATVs, snowmobiles) as well as providing logistics services to other powersports organizations. Motovan is the Canadian distribution leader, boasting the largest sales team and network of powersports dealers in Canada. Hannah Johnson is a bit a unique lady - and she's one of seven riders featured in Puma's "Lean In and Ride With Us" series. One thing that makes her particularly unique - she's a Ducati Master Technician. The only one in the world in fact! Wow - this is pretty cool! 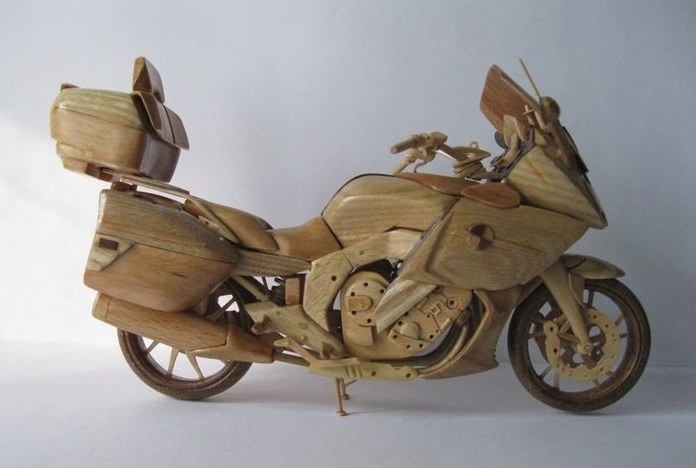 An avid BMW fan from Ukraine by the name of Vyacheslav Voronovich builds wooden models in 1:12 scale. Ever seen a wooden BMW? Well, his latest creation is this detailed BMW K 1600 GTL with lots of adjustable parts and even functional front and rear shock absorbers. Check out the FaceBook link HERE for more photos. BMW is on a roll with their sales numbers and motorcycles are a contributing factor in that success. BMW Motorrad: Global sales rose by 3.5% to 12,568 units in May. 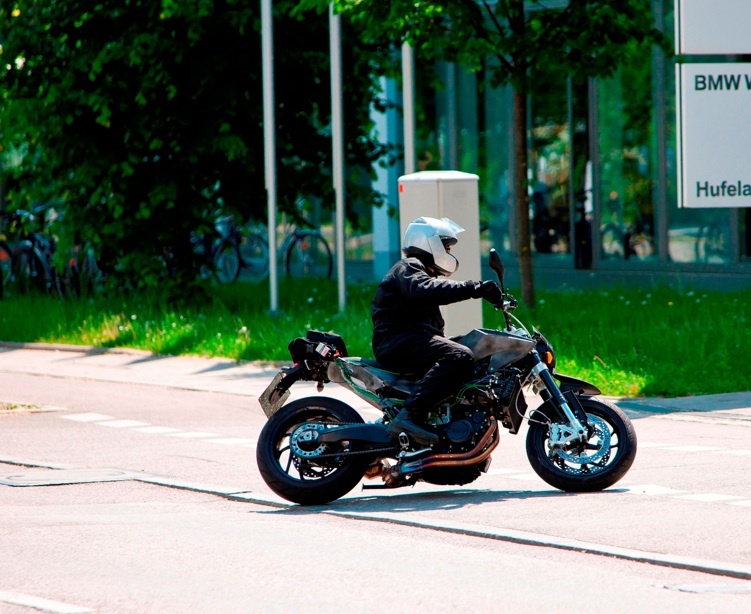 Worldwide a total of 48.749 BMW motorcycles were delivered to customers in the year to the end of May 2011. This represents an increase of 7.3% year-on-year. The strongest market for BMW Motorrad is Germany with 9,496 deliveries. Husqvarna Motorcycles delivered 3,080 motorcycles (-4.6%) in the first five months of the year. 537 motorcycles were delivered in May (-59,5%). Today marks the release of Yamaha’s all-new 2012 BW’s 50 scooter. Already the best selling scooter in Canada, thanks to its sporty performance and styling, the 2012 version allows riders to go that extra mile, literally, with a new, fuel injected, four-stroke 49cc engine (prior BW’s housed a two-stroke powerplant). Complementing its new four-stroke engine, the new BW’s also features liquid cooling for improved performance, a repositioned fuel cap for easier re-fueling, painted, wave-style brake rotor, a flashy new gauge system, and anti-theft locking system. Smart, practical and much cheaper to operate than most other vehicles on the road …Do you need another reason to try a scooter? Complete details, specs and pricing are available at Yamaha-motor.ca. If you wish to dig deeper into the benefits of riding a scooter, search ‘Scooter Sense’ on YouTube. You’ll wonder why it took you so long to join the club! 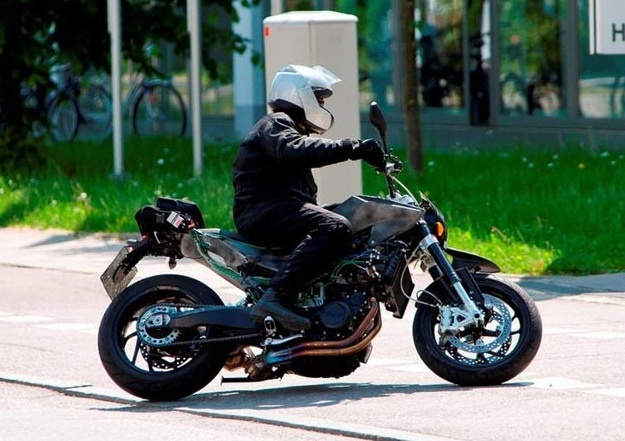 There's been some pretty consistent rumors that Suzuki is planning a makeover of the popular but perhaps not beautiful V-Strom and those rumors have been substantiated with some teaser photo's on Suzuki's Canadian website. They show a stylized outline of some of the new bike. They're calling it a Middle Class bike that's ready for adventure bike so will they keep the 650c displacement? bump it up to match some of their main competition at 800cc? It's not clear at this point. If you own a Ducati and have some free time (and money!) on June 23-26 Ducati has a proposition for you! You can join the Spider Grips Ducati Team for the 2011 "Race to the Clouds" The first Ducati owners gathering to the Pikes Peak International Hill Climb. All Ducatisti, and especially Multistrada owners, are invited to come and support the Spider Grips Ducati Team while they defend the 2010 Class Title and their attack for top time up the mountain on June 26, 2011. The Multistrada 1200 triumphed in the 2010 Pikes Peak International Hill Climb, an extreme against-the-clock dash up the steep slopes of the Rocky Mountains that starts at an altitude of 9,390 feet and winds its way skywards to the finish line at a height of 14,110 feet. In 2011, Ducati invite all Ducatisti to join them for this epic race and support Greg Tracy and Alexander Smith for the Race to the Clouds! Ducati Owners Pikes Peak Ticket Packages available now through June 17, 2011. 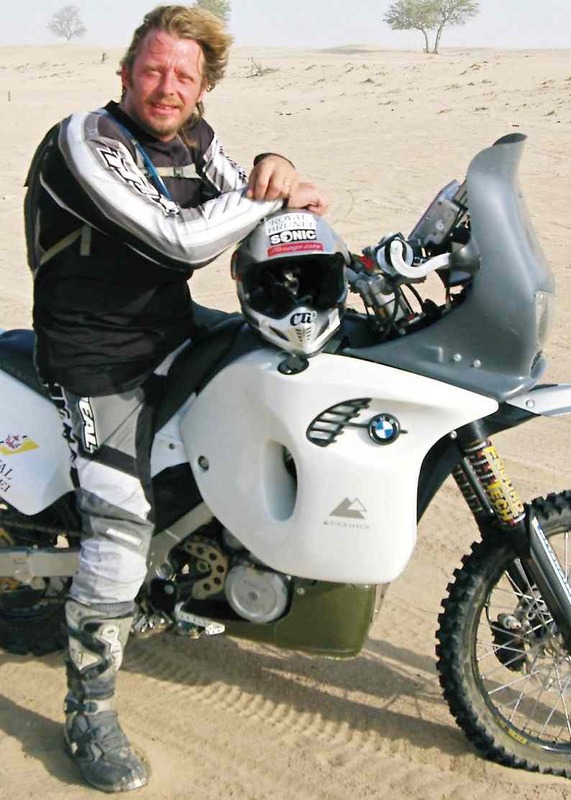 Charley Boorman is coming to Canada this summer to film a television reality series for the UK’s Channel 5 that will be titled "Extreme Frontiers Canada." Perhaps best known for his participation in Long Way Round and Long Way Down, which documented his international motorcycle journeys with fellow actor Ewan McGregor - Charley will be starting in Newfoundland on June 9th, 2011 and travel all the way to British Columbia aboard a bike from BMW Motorrad Canada. Boorman will have a support vehicle for a most of the trip, but he'll take some solor independent side trips including a lengthy journey to the Northwest Territories. The series will air on the UK’s Channel 5 early in 2012. Get your bittorrent applications ready because it won't be airing in Canada! At least, there's been no word of it as of this posting. Zero Motorcycles’ Zero named 2011 “E-Bike of the Year"
Zero Motorcycles recently announced that their Zero S electric motorcycle received the prestigious “e-Bike of the Year” award at Europe’s Clean Week 2020. During the four-day event, a panel of 13 leading European motorcycle journalists evaluated electric motorcycles from around the world. 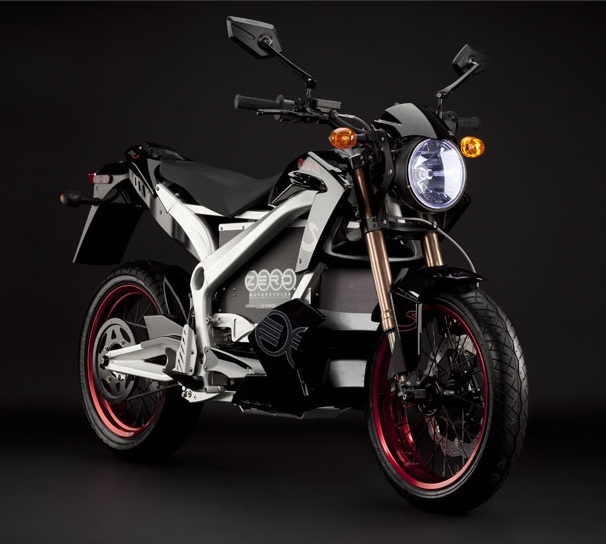 Ultimately, the Zero S was awarded with top honors and became the first electric motorcycle to win the newly created category title. Dubbed "the ecological heart of European mobility," Clean Week 2020 is an annual gathering that demonstrates advancements in electric and hybrid vehicle technology. The second annual Clean Week 2020 was held at Circuit Zolder, where a variety of electric vehicles could be test driven and evaluated by journalists and consumers. At last year's event, the awards focused on automobiles. Recognizing growing public interest in two-wheeled electric vehicles, organizers added electric motorcycle categories to this year’s 2011 event. Cardo Systems, Inc., the world’s market leader in wireless Bluetooth communications for motorcycle helmet headsets, announced the extension of its product warranty from 12 to 24 months.The warranty extension from one to two years from original date covers Cardo Systems’ line of scala rider products, including the G4, G4 PowerSet, the TeamSet, TeamSetPro, and the Q2 and Q2 Pro MultiSet for motorcycles, and the G4 PowerSet for snowmobiles. "We are very pleased to extend our warranty period to 24 months, especially since it gives additional peace of mind to our loyal customers,” said Abraham Glezerman, CEO of Cardo Systems, Inc. “Our products are built to perform under tough, real-world conditions, providing motorcycle and snowmobile riders with clear communication for enhanced enjoyment and safety." 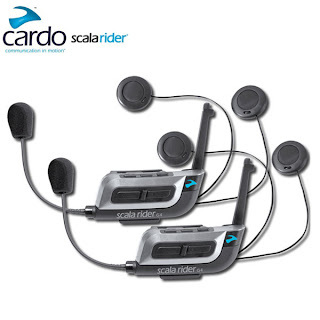 Cardo Systems’ scala rider line of products offers unparalleled communication between multiple motorcyclists bike-to-bike, or now between snowmobilers. Riders are able to speak to each other with hands-free clarity at ranges of up to one mile using the G4 PowerSet. Also, riders and their passengers riding on one motorcycle can utilize the TeamSet Pro product to speak to each other for up to 10 hours per charge. Each product in the line is ruggedly built, yet streamlined to provide comfort for riders on long journeys. In addition, the scala rider products allow the seamless usage of smartphones, GPS devices, or MP3 players along with the intercom conference mode. 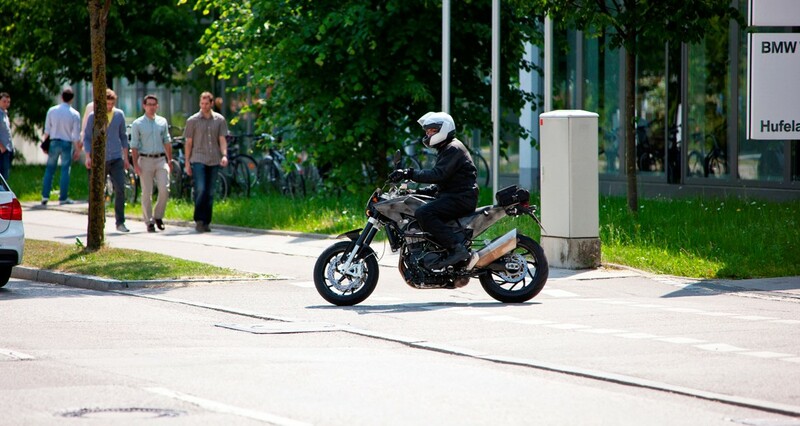 Cardo Systems offers products that attach easily in minutes to virtually all motorcycle helmets. For more information about the new Cardo Systems’ product warranty, visit www.cardosystems.com/us/support/warranty. 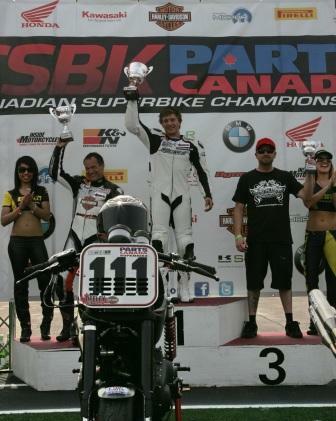 Horrible conditions and constant showers could not dampen the spirits and enthusiasm of the Deeley Harley-Davidson Canada XR1200 contingent at its inaugural performance in the Canadian Superbike round one weekend of the 2011 season. Canada’s Snowbirds did a fly-by, seeming to tear a hole in the unrelenting grey blanket that hovered overhead of Circuit ICAR in Mirabel, Quebec. Skies began to clear and the difficult course dried long enough for the Harley-Davidson XR1200 motorcycles to make their appearance on the track for qualifying. Thirteen riders rolled out onto the track for the first laps of the very popular XR1200 spec class and, as excited fans jostled for position behind the barriers, riders got their first chance to ride the bikes in the heat of battle. Handlebar-to-handlebar action became common and, almost immediately, the gauntlet was thrown as 17-year-old Cody Matechuk, racing for Privateers Harley-Davidson, diced it out with Ruthless Racing Inc. rider, Darren James, and MotoSports Plus rider, Steve Crevier. By the end of the 20-minute session, Matechuk posted the fastest qualifying time of 1:30.433, earning him the Tactical Products Luminox watch for winning the pole position. James closely followed suit in second and Crevier boasted the third fastest time. Sunday’s main event proved to be one of the most exciting races of the weekend, with the sun making a guest appearance. Matechuk got a brilliant start from the pole and shot out to the lead, dragging Crevier and James behind him. Behind the lead trio, a clump of riders battled for position with Samuel Proulx, riding for Sherbrooke Harley-Davidson, leading the charge ahead of Vision Harley-Davidson rider, Chris Harmon, and Trev Deeley Motorcycles-sponsored Olivier Spillborghs in pursuit. Ruthless Racing Inc. rider, J.R. MacRae, had his fill of Costa Mouzouris riding the #22 Harley-Davidson media bike. Another youngster, Lee Kuhn Jr., riding for Jacox Harley-Davidson, diced it out with Elie Daccache. Missing the race weekend were veteran Ruthless Racing Inc. rider, Dave Estok, and Freedom Harley-Davidson rider, Steven Nickerson. Both riders are nursing injuries and hope to return to action for the next round at Shannonville Motorsports Park on July 2 and 3.